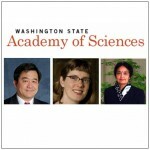 Three UW Department of Chemistry faculty members are among the 24 new members elected to the Washington State Academy of Sciences in recognition of their distinguished and continuing scientific achievements. 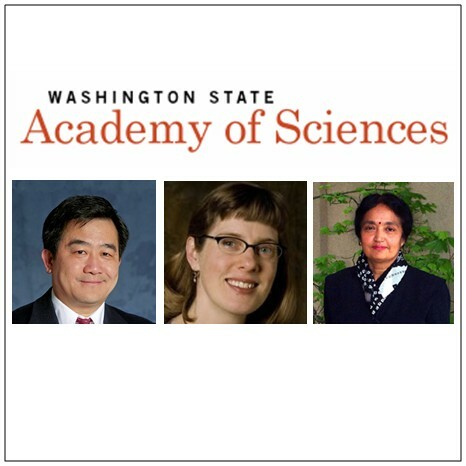 The Washington State Academy of Sciences provides expert scientific and engineering analysis to inform public policy-making, and works to increase the role and visibility of science in the State of Washington. The new members will be inducted into the WSAS at the fourth annual meeting at the Museum of Flight in Seattle, WA on September 22. Sarah Keller, Department of Chemistry, Associate Dean for Research Activities, College of Arts and Sciences. Alex K-Y Jen, Boeing/Johnson Chair and Professor of Materials Science and Engineering & Professor of Chemistry. Usha Varanasi, Affiliate Professor, School of Fisheries and Aquatic Sciences & Department of Chemistry.